This documentary is a journey through Italian indie music production, in a country which faces a strong crisis, these bands work with systems of self-handling and self-management. Three indie bands, three different cities: Fuzz Orchestra (Milan), His Clancyness (Bologna) and Eels On Heels (Trani) tell their experience in Italian underground music scene. The protagonists define themselves as contemporary (anti)heroes, seeking creative freedom. 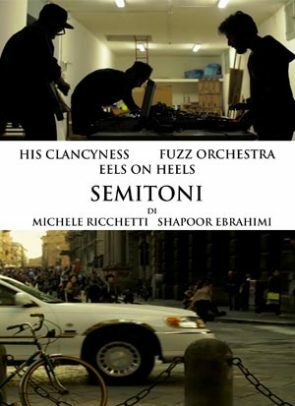 Their beginnings, their tours, their relationship with music industry, their families are Semitoni’s “score”, in a journey inside underground music scene which makes the discrepancies between the bands and Italian cultural industry come out. The three Italian cities, Trani, Bologna and Milan, which are very different, are the stages of a trip in an hidden world, through which the bands lead us.